Joint developed product with Shonan Cosmetic Surgery, Japanese most famous Cosmetic Surgery Hospital! Need the exercise, but no time…. HERE is the solution for all! Medilite Slim targets on the most interested parts of the body, the under arm, belly, thighs, face line. 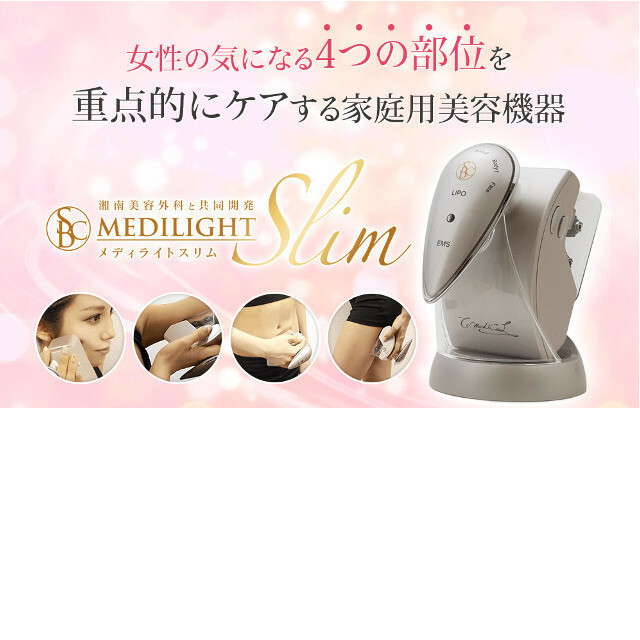 The reason why Medilite Slim is chosen by women is 3 of the great functions. 1)	Absorb the flab powerfully even if it is stiff, and soften it. 3)	Effective on Fat and Muscle at the same time! Just ONLY 10 minutes touching on your body per 1 day! No effort to do, easy and comfortable, possible while watching TV! But 10 minutes effects of Medilite Slim equal 120 times Abdominal exercise!! ※C.O. Smoothing gel is exclusive for Medilite Slim, but other gels are applicable for Medilite Slim. ＊Instruction Manual is ONLY in Japanese. 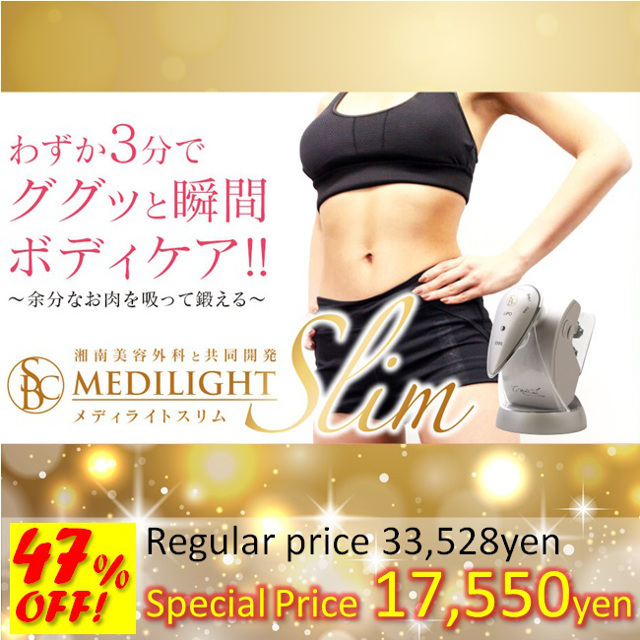 ※Medilite Slim is not a medical equipment. ※We deliver to your hotel, FREE of shipping charge.